14,000 downloads and activations of the conference app with 178,000 opens and 18,000 hours of combined use. Despite thousands of like-minded people who enthusiastically embrace instructional technology, the primary focus of everything that I participated in at ISTE was learning. With the lines between teachers and students becoming blurred, it was refreshing to here presenters talk about classrooms of "learners". When was the last time you heard someone say, "I hate learning."? Another theme was an emphasis on personalized learning, or as Adam Bellow stated, "Every student deserves an IEP." In several poster sessions that I attended, Genius Hour, or 20% Time was discussed as a way of getting students excited and engaged in learning. Passion-based learning was also mentioned as a way to counteract the frequent and heavy emphasis on testing that many of our students currently face. Educational professionals, and learners of all ages should be connecting with other learners as part of a personal learning network. Classrooms are no longer the exclusive warehouses of knowledge and information. It is not necessary, nor is it feasible for the classroom teacher to be the gatekeeper for learning. Information, expertise, and learning resources are readily available online. A common ISTE discussion revolved disrupting the stagnant outdated practices that currently exist in many of our schools and classrooms. Finally, the informal discussions that took place in the pubs and restaurants along the River Walks were true highlights of the conference. The concept of failure, and whether educators should embrace failure was debated. I came away agreeing with George Couros - failure should not be embraced, but anticipated so that the characteristics of grit and resiliency can be reinforced and supported. 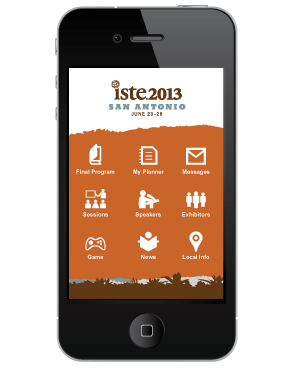 Overall, ISTE 2013 was a very valuable learning and social experience for me. It was terrific finally meeting folks in person that previously I had only known through my PLN. I was able to gather some valuable information that will help with professional development programs in my district. Thanks to my friends at Schoology, I was also able to share some LMS knowledge, and make some new friends at their booth in the exhibition hall. ISTE 2014 is in Atlanta next summer. I hope to be in attendance learning and sharing with about 15,000 of my like-minded friends.